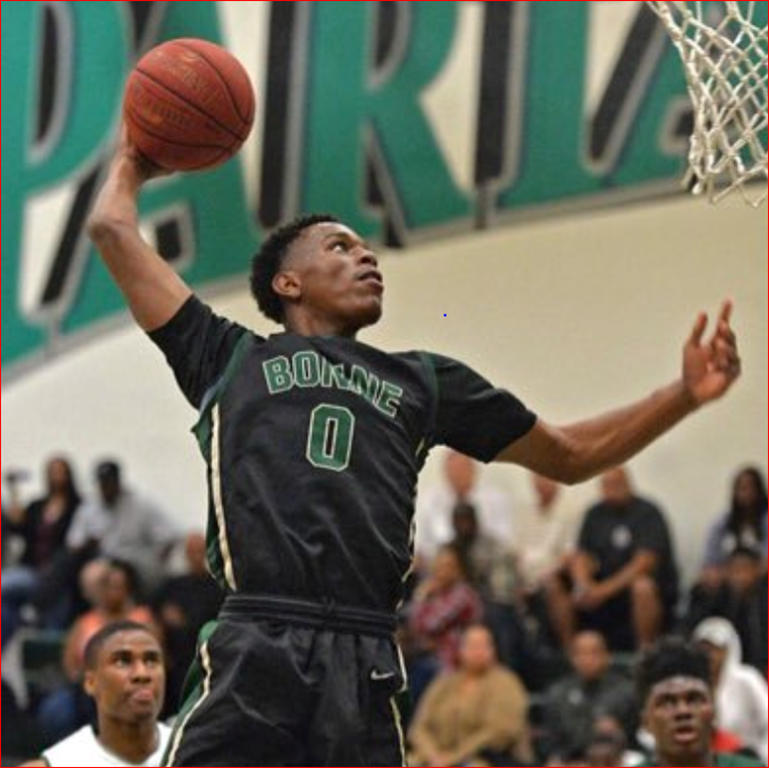 Antelope Valley College picked up D’Mauria Jones, a 6’4” 190 freshman guard from Narbonne High School. The first team team All-CIF City Section player was a dominant last year where he scored 27 points and pulled down 5 rebounds per game. Dee is excited about playing basketball at Antelope Valley. He has not yet decided what major he will pursue so he will be taking his general education/pre-requisites this year. I asked Jones what his strength and weaknesses were in basketball. Without hesitating he said he plays outstanding defense and offensively is very difficult to stop when he heads for the basket. Again without hesitation he feels that he is a decent outside shooter but is going to spend time in bringing his shooting to the outstanding level like his defense. D’Mauria’s ultimate goal is to get a college degree and then play professional basketball at the highest level possible. Fall has shown that D’Mauria Jones is going to be special basketball player. Scoring 27 points per game as a high school senior he arrived at AVC with the size and athletic D-1 level teams are looking for. The freshman at Antelope Valley is adding four key skill sets that are absolutely key to his long term success. Academics…Dee is enrolled in a full load of college classes, attending mandatory study sessions with the rest of the team and being monitored regularly on his progress. Jones knows he must have a 2.5 GPA and an AA degree to move up to his goal of playing basketball at an elite D-1 university. Half court control…Making the step from most high school programs to a college level program is huge, especially in learning 40+ defensive/offensive sets in the half court. Dee is making good progress in this area. Improved Shooting…AVC is known for its emphasis on shooting and Dee has improved rapidly in long range shooting. Smart defense…With Dee’s physical gifts, he came to AVC with good defensive skills but now is learning team defense and smart defense which will make him into an outstanding defensive player. I predict that Jones will improve every game this year. Watch out AVC opponents.